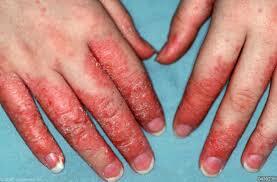 preventive measures, hand eczema tends to worsen. 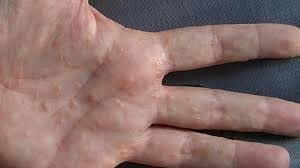 Because hand eczema looks like dry skin it is often treated as just dry skin. While a heavy moisturizing cream may help the appearance of hand eczema, or even reduce the symptoms, you will need more than moisturizer to treat it. There are a multitude of causes for this condition. It usually starts because of an irritant or allergy. That could be anything; including water if your hands are in it a lot. Chemicals, solvents, even the formaldehyde in paper can cause an eczema flare up. Chefs can often experience it due to acidity in foods like tomatoes and citrus fruits. Nurses’ commonly suffer from it because of the frequent hand washing, latex gloves and irritating hand sanitizers. Because so many things can cause hand eczema, finding the cause can be tricky. 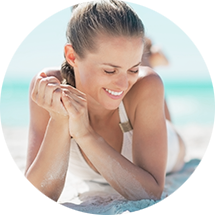 Seeing a dermatologist is important as they can help you determine triggers and prescribe potent enough topical to treat your condition. A dermatologist can also tell you how to avoid what’s causing your hand eczema. Dermatologists have developed strategies to help their patients participate in life while avoiding what’s causing their hand eczema. 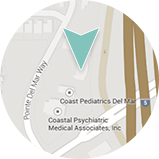 While they are helping you determine a cause for your condition they can provide a treatment plan for your comfort and well-being. This may include topical or oral steroids. Steroid injections may also be prescribed. Antihistamines can help in managing the symptoms and a heavy barrier repair cream or ointment is useful. If you are not able to determine the cause through a process of elimination then allergy testing may be ordered. With preventive measures and treatment, however, most people recover completely and can manage to avoid flare ups. For more information, or to schedule a consultation for treatment of your hand eczema, contact us.